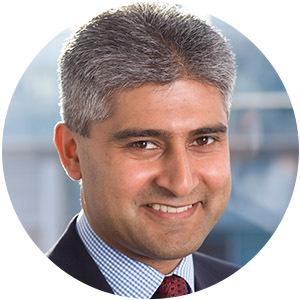 Zafar Aziz, head of the depositary receipt investor relations advisory group at Deutsche Bank, explains why innovation is critical to the industry. Global Finance: What is the biggest issue facing the DR industry near-term? Zafar Aziz: Innovation is very important for the DR industry. Using new DR structures to allow international investors to gain access to capital across borders continues to be a key goal for market participants. The DR structure remains a resilient method for raising capital, for use as a tool in mergers and acquisitions, and for accessing incremental investors. GF: Can you give an example of a complex deal involving DRs? Aziz: Deutsche Bank was appointed as the depositary bank for trivago’s $330 million ADR [American Depositary Receipt] issue on Nasdaq, which was the largest DR capital raising by a company in Europe last year. This high-profile transaction was executed in a very short time frame and had a number of complexities. Founded in 2005, the issuer is incorporated in the Netherlands, but is treated as a Germany-domiciled entity for tax purposes. The Dutch shares needed to be made eligible to be held by the custodian in Germany (Deutsche Bank, Frankfurt) through a complex process with Clearstream Banking Frankfurt. This process involved dematerialization of the shares, under Dutch law the issuer’s shares were in the form of physical global share certificates in bearer form, and could only be released following the execution of a private Deed of Issue by the issuer. Prior to the closing, the issuer changed its corporate form from a Dutch private company with limited liability into a public limited company and changed its name from travel BV to trivago NV. This resulted in complexities around the filing and execution of the DR documentation. A green shoe option was exercised in full and was settled shortly after the main offering. The company had a successful flotation, despite severely subdued market sentiment on IPOs. GF: The $8.2 billion of capital raised via DRs in 2016 was $3.2 billion below the year-earlier level. What is the outlook for 2017? Aziz: Deutsche Bank estimates that $2.6 billion was raised so far this year from 17 capital-raising deals [through June 16]. The pipeline for the second half is expected to pick up, so we likely will see greater levels of activity for the remainder of the year. GF: Will Chinese companies continue to lead DR capital raising? Aziz: This certainly seems to be the overall trend, particularly in terms of the amount of capital raised, although we are seeing activity and deal flow from other parts of the world. 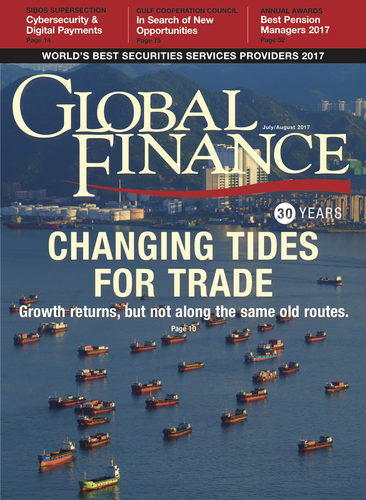 GF: How rapidly is capital market infrastructure improving in emerging markets? Aziz: Deutsche Bank together with FT Remark conducted a recent survey of the BRIC [Brazil, Russia, India and China] and MINT [Mexico, Indonesia, Nigeria and Turkey] countries. China, Indonesia, Russia and Turkey ranked the highest for their capital market infrastructures. Survey respondents said India and China have made the greatest infrastructure improvements during the past five years. The speed of change in rules and regulations has improved the attractiveness for investors of the emerging markets.